If you love fresh seafood, the Apalachicola Bay area along the Gulf Coast of the Florida Panhandle, is famous for some of the freshest, tastiest seafood you’ll find anywhere. Each November the states delicious seafood is celebrated during the Florida Seafood Festival held amid the friendly, old Florida charm of Apalachicola. If you can’t make it to the festival in November, not to worry, any time of year is a good time to savor the flavor of this areas fruits-of-the-sea. Located south of Tallahassee along the Gulf, Franklin County is a natural paradise. 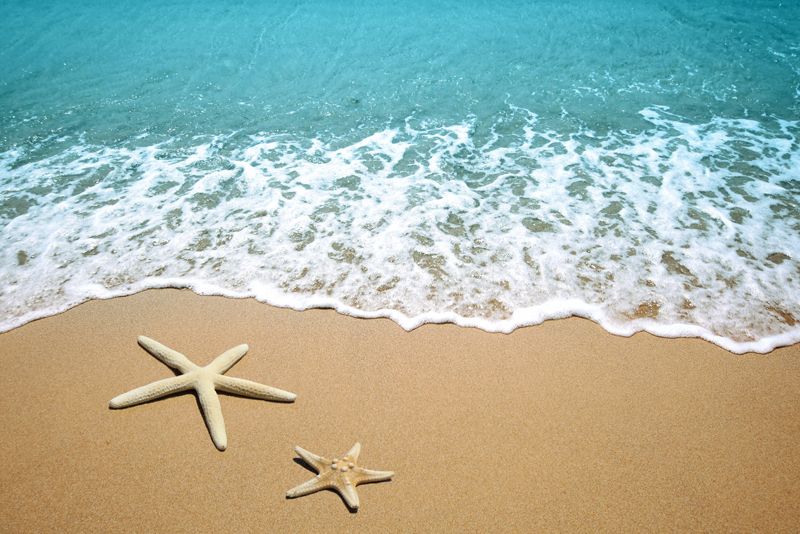 With its pristine beaches, abundant natural resources, and laid-back life style, Franklin County delivers a level of satisfying relaxation that can be ramped up, or down, depending on your mood. With much of the county land, protected as state parks, forests, wildlife refuges, and the Apalachicola National Estuarine Research Reserve, you can find plenty of outdoor activities to keep you busy. Seafood is at the heart of Apalachicola’s 200 years of maritime history. 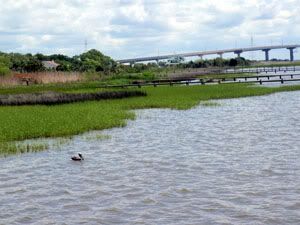 The Apalachicola Bay is one of the most productive estuaries in the northern hemisphere. It is a nursery so prolific, 95% of all species harvested commercially in the Gulf of Mexico spend a portion of their life in estuarine waters. The Apalachicola River, dumping about 15,000 cubic feet per second of fresh water daily into the bay, pushes oxygen and nutrients out into the gulf waters, feeding its hungry inhabitants. I hopped aboard a river tour with Captain Larry Covell, owner/operator of Wheelhouse Tours, on his 28-foot landing craft Pegasus. We cruised some of the meandering rivers, backwaters and bayous that make up a part of the almost 250,000 acres of estuary. Shrimp and oyster boats ply the waters of the bay and line the docks and marinas, along with fishing boats bringing in the fresh catch-of-the day. A literal mountain of oyster shells can be seen near the marina. These shells are returned to the bay where new oysters will attach themselves and grow. The Apalachicola Bay area is ideal for growing oysters and the shellfish reach marketable size in less than two years. Oysters are a million dollar industry for Franklin County, and generations of “Apalach” families have depended on the oysters for their livelihood. More than 90% of Florida’s oysters and 10% of the nationwide supply of oysters are harvested from the abundant waters around Franklin County. 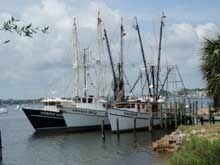 Leavins Seafood Company of Apalachicola ships fresh oysters daily from coast to coast. You’ll find some of the best fishing in Florida right here in bay waters and 10 – 15 miles out. I spent an exciting morning about 10 miles out with Captain Kamen Miller of Carrabelle Charters, onboard his 46ft. charter boat, “The Pressure Drop”. With almost every cast someone in our group reeled in a fish. Groupers, sea bass, and snappers were just a few of the fish hauled onboard. 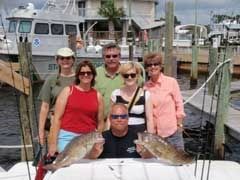 Two large groupers were keepers and later that evening, were cooked up for us at the Pirate’s Tiki Hut in Carrabelle. We enjoyed some of the freshest, tastiest fish I’ve ever eaten. Many restaurants feature fresh, locally harvested seafood that is brought to the docks daily. Fresh Oysters fixed just about any way you can imagine can be had at Papa Joe’s Oyster Bar & Grill. Chef Michael Feil, of Café Momi, located in the historic Gibson Inn in Apalachicola, prepares for his guests original dishes as well as regional favorites using fresh, local seafood. A visit in spring or fall will give you the most comfortable weather but anytime is a good time to plan a “natural escape,” to this southern paradise along the Gulf. For those of you who breeze on by Florida’s Panhandle for more southern destinations, I guarantee, you won’t be disappointed by a stop-over in Florida’s Franklin County. I’m betting you’ll be so mesmerized by the charm and natural beauty that you’ll fall in love with the area just as I did. For more information on Franklin County visit: www.anaturalescape.com.